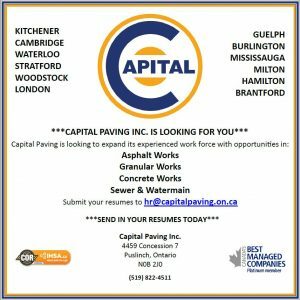 Capital's 2019 Job Fair - March 25th to 29th - Capital Paving Inc.
Capital is holding a job fair from Monday, March 25 to Friday, March 29, 2019. For consideration, please email a current resume to hr@capitalpaving.on.ca with the subject line 'job fair'. Good luck!